Condors of the Columbia is as a new exhibit that is scheduled to open at the Oregon Zoo in Portland this spring. The Oregon Zoo is one of three zoos and a wildlife center that is raising California Condors for release in the wild. Starting with six breeding pairs in 2003, the zoo currently has 40 to 50 birds and has released 20 birds into the wild. The new exhibit will provide a large aviary for unreleasable Condors along with information about Condors and the recovery program. One of the photos in the new exhibit is one that I took last year in Garapata State Park south of Carmel, California. 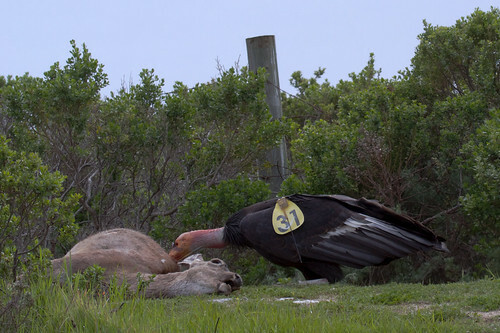 It is of Condor #231 “Wild 1” feeding on a road-kill deer. 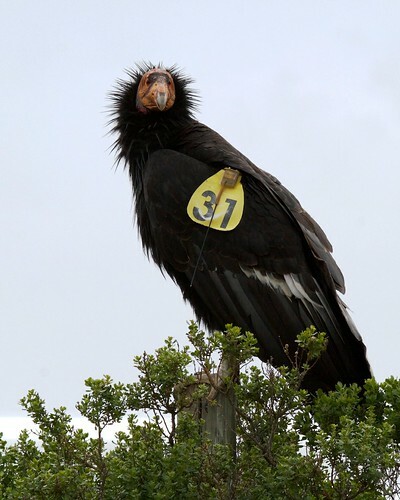 Condor #231 was hatched in the Los Angeles Zoo in 2000 and was released along the Big Sur coast in 2001. 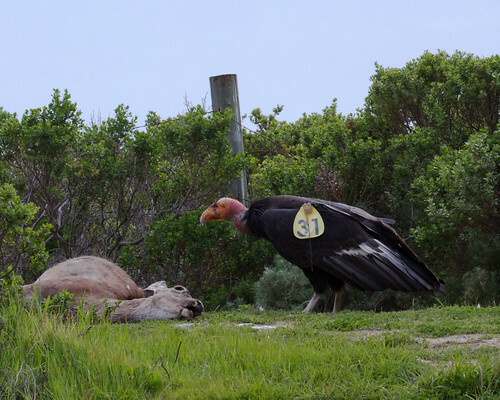 She was the first Condor to lay a fertile egg and raise the chick (#477) on the Big Sur coast. You can find the story on the trip here. I am pleased that my photo will help raise awareness of the Condor recovery program and the Oregon Zoo’s active participation in it.